The user profile and demographics of Reddit are interesting. According to Pew Research 87% of users are under 35 and 63% are under 25. Thus it has a relatively young audience profile. The Reddit audience is also overwhelmingly male, around 71%. This is the opposite of say Pinterest where 81% of users are female and where 93% of those that actually pin items are female. On Twitter there is a fairly even balance of male and female users. Reddit data shows that users are also heavy internet users, 47% report going online almost constantly. This compares with 21% of U.S. adults overall. The majority of Reddit users, 54%, are from the US whereas around 40% of Pinterest users are from the US. On Twitter just 20%, 68m of the 328m users are from the US. Thus when we look at content that engages people on Reddit we have to be conscious that we are looking at a predominantly young, male audience, who are heavy internet users. A majority of which live in the US. [clickToTweet tweet=”Engagement levels on Reddit can often be far higher than other networks. pic.twitter.com/UqshUhOs5l #contentmarketing” quote=”The engagement levels on Reddit can often be far higher than networks such as Twitter, LinkedIn or Pinterest, and even occasionally Facebook.”] For example, below are some of the articles about Donald Trump that gained more engagements on Reddit than on other networks. The top post gained over 250,000 engagements. Reddit is similar in many ways to a discussion board. Users submit posts, known as submissions to categories known as sub-reddits. These posts can be questions, original content or links to external content. Other users can then add comments to the post and also rate both posts and comments by “upvoting” or “downvoting” them. This user voting drives the display of posts and comments on the site. Reddit reports over 24 million votes each month. The content that engages the Reddit audience is often very different to the content that engages audiences on other social networks. This can be seen in just a few simple BuzzSumo searches. For example, if we search for ‘design’ and sort by Reddit engagements we can see that top content is about the design of a workout suit and a solar cell. If we sort by Pinterest shares we get content on interior design. If we sort by Facebook we get humorous articles on design fails. The differences across networks is not surprising. 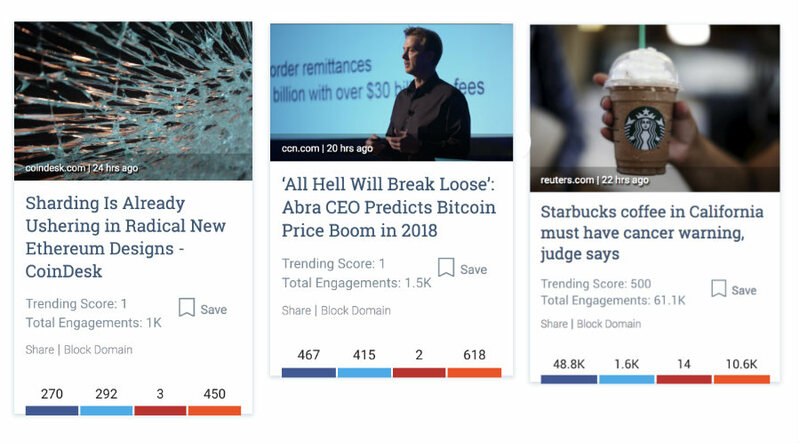 It is also no surprise that content about technology tends to engage the Reddit audience, for example, this article about net neutrality gained over 400,000 engagements. You can use BuzzSumo’s content analysis feature to compare engagement across social networks. Below is the chart for net neutrality where we can see Reddit generates as much engagement as Facebook. Typically we find Facebook drives trending content because of its scale and reach. However, in some particular topic areas we see can content being driven by engagements on Reddit. Below are a few examples. People ask a lot of questions on Reddit. For example, there have been over 6m questions asked in the general sub-reddit called AskReddit. BuzzSumo’s question analyzer gives you the opportunity to tap into Reddit data and analyze the questions asked in any sub-reddit. For example, there were over 50,000 questions asked in the askscience sub-reddit on the following topics. For sub-reddits such as diabetes there have been over 14,000 questions on the following topics. Here are just a few sample questions on Novolog vs Humalog. You can also search the whole of Reddit for questions on a specific topic by using the Reddit filter. If you are interested in what questions young men are asking about a topic Reddit can provide you with some useful insights. You can also explore the answers being provided and the discussions around the questions. Reddit can also be a good source of traffic. To check whether Reddit currently drives traffic to your site dig into your Google analytics. Simply go to “Social,” then “Network Referrals”. 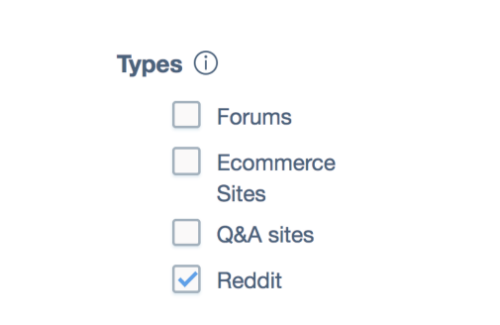 Find and click on reddit, then use the secondary dimension option to choose “Behavior” and then “Full Referrer”. This will show you the specific sub-reddits that are driving traffic to your site. For example in our case they are as follows. The list shows two subreddits that we may want to investigate more. “Data is beautiful” and “Entrepreneur”. 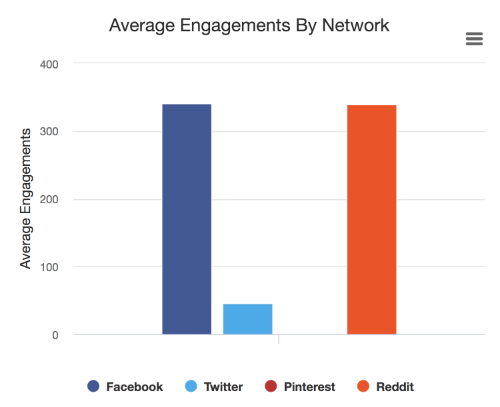 Here is a useful post from the Content marketing Institute on driving traffic from Reddit. We hope that adding Reddit data to BuzzSumo will give you new insights and new perspectives on the content that is engaging your audiences. We would love to get your feedback. I have always been interested in Reddit for good discussions .This article and the audience and data profiling makes me even more curious.Looking forward to using the reddit feature of buzzsumo. A friend’s client must rely solely on organic Search and Referrals for new users (restricted from advertising on Google, Facebook, etc?. We were using questions to meet audience needs and join conversations. Now, we can revisit that technique with one of the most active (and, yes, argumentative) audiences on the web — Reddit! Thanks! Are sub-reddit editors identified among Influencers in BuzzSumo? I am using Reddit from couple of months but I was facing problem about content but now I can grow link karma. I love the idea of growing Karma on Reddit…really interesting that with Reddit the Karma goes to the user, not necessarily a post. I think that a community has to have its own culture or personality and that is what Reddit have in loads. Yeah–it is interesting how each network has a different vibe. Reddit continues to dominate the social scene. It has been years and it keeps going strong. Much of its success is due to its members. Thanks–do you use it often?